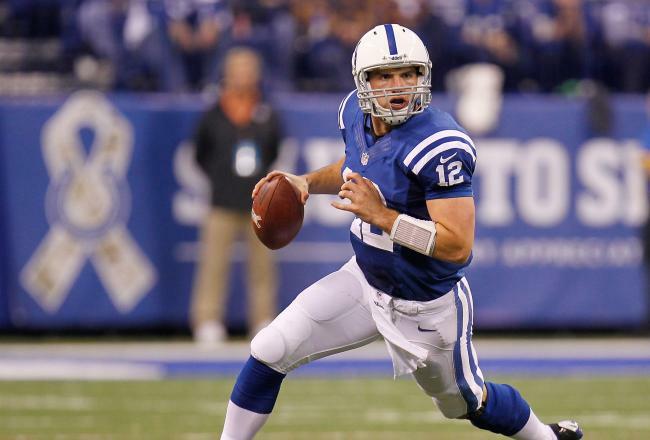 Can Andrew Luck lead the Colts to an impressive road victory in New England? A tie, really? Can you believe it? Mind the ghetto video I found on youtube but..
Well don’t think we saw that coming between the 49ers and Rams (any given Sunday at its finest). This week wasn’t great for some starting quarterbacks who left their games due to injuries; Jay Cutler, Ben Roesthlisberger, Alex Smith, & Michael Vick all left their respective games and did not return. Big Ben & Vick will be on the shelf this week so it is up to the backups to lead these two teams to victory. What a call on Bengals/Giants! How many people read that and said “he is an idiot”. Yup, I’m talking about you and the rest of the 95% of people who thought I was crazy. The Bengals were poised to win that game and it showed. Now I am 2-0 versus the spread. Will this week be three in a row? I’m very fortunate for how things have gone for The Cover 4 this season. Not only have winners been accurately predicted but the analysis, key players & fantasy studs have been on point. Turning non-believers into believers and consistent readers; I promise you this will continue! Another theme of last week is how I can’t accurately predict the Dolphins & Titans; I just can’t get it with these two teams. The presences of Locker and the re-emergence of Chris Johnson helps solidify this Titan squad. If only they figured out how to get Kenny Britt and Jared Cook involved more. Results speak for themselves: 11-2-1 last week. I’m expecting a wild week as some dogs are looking good (especially versus the spread). Let’s look at this weeks matchups. Analysis: Two of my favorite teams right now (insert sarcastic emoji here :p.. Haha). I’m gonna say it again, I like Tannehill’s potential but I think he belongs on the bench this year. The guy can make all the big throws in the NFL but I’m more on the Moore bandwagon (like that?). The Dolphins were eaten up by the Titans last week while the Bills kept it close with the Patriots. I expect the Bills to take advantage of the Dolphins coming off a bad loss on a short week. Key Players: Reggie Bush & Ryan Tannehill. Bush needs to find his game after being benched last week. As for Tannehill, he needs to limit his turnovers to keep the Dolphins offense on the field. Fantasy Stud: Bills Wr Stevie Johnson. Expect the burner to be open all day. Analysis: The nonsense of the Falcons going undefeated is now out of the way with last weeks loss to the Saints (you liked that score prediction though right?- right score, wrong teams). The Falcons defense will be the key for the rest of the season as this unit has been overachieving. I believe this defensive unit should be able to get things together this week versus Arizona. As for the Cardinals, who are coming off a much needed bye (as every struggling team is), they must establish some sort of a running game. This team ranks dead last in rushing and has been very one-dimensional. Key Players: John Skelton. The quarterback must keep this offense moving and convert on third down for the Cardinals to hang with the powerful Atlanta offense. Analysis: The Cowboys are heavy favorite in this matchup after a solid game against Philadelphia last week. The Browns used the bye week to recover from their heart breaking loss to Baltimore two weeks ago. Quarterback Brandon Weeden must limit his turnovers after throwing 2 ints two weeks ago. Look for Trent Richardson to have another solid game in this one. Fantasy Stud: Jason Witten. I think Witten has another solid game as Romo is looking Wittens way more after his 18 catch effort a few weeks ago. The Browns are allowing tight ends to have average days but they haven’t faced a tight end of Wittens caliber. Analysis: The Packers are winners of four straight and things are slowly coming together for this team. The Lions are the number one passing offense in the league and should continue to throw the ball around in this one. The absences of Clay Matthews & Charles Woodsen is big for this Packers defense. 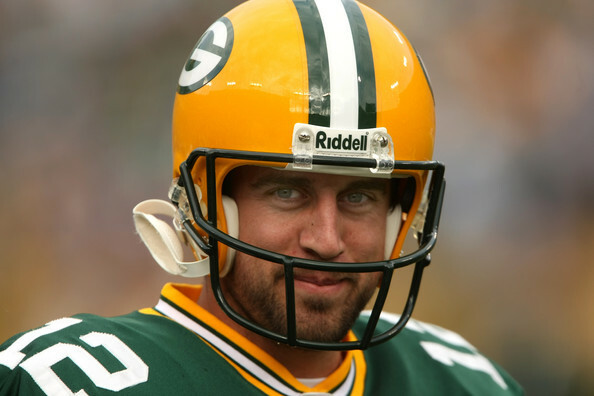 I expect a high scoring game with the Packers taking this one. Players to Watch: Matthew Stafford & Calvin Johnson. After a slow start, the dynamic duo is starting to click again (forget the Madden curse). Megatron is putting up mega numbers and propelling one of my fantasy teams into the playoffs. Analysis: The Bengals are coming off an impressive (cough called that cough cough) win against the Giants. Dalton looks terrific passing the ball as his offensive line is giving him ample time to sling the rock; it also helps that his weapons are making plays. Kansas City is coming off a devastating overtime loss to the Steelers. I think this game will be close but the Bengals pull it out. Key Players: Matt Cassel. I don’t know how to put it any other way except that this team only goes as far as Cassel can take them. His career (including college) has been an up and down roller coaster but something needs to give. Player to Watch: Vontaze Burfict. The undrafted linebacker is thriving in Cincinnati. Character issues were a concern but a player of his caliber is too hard to pass up. Burfict is second on the team in tackles and watch him have another nice game this weekend. Analysis: It’s funny because I had a dream I was talking with Rex Ryan over some beers about how he is losing control of the team. It dawned on me that if he keeps riding Sanchez and the team keeps underperforming, he is going to go down with the ship. It may not be this year but Ryan could be on the hot seat (I think GM Mike Tannebaum is the first one to go). The Jets are just in a free fall mode right now as Sanchez and the rest of the offense continue to fail the team. Rex Ryan has his hands full with defending this team against the media. On another note, the Rams are coming off an impressive tie against a tough 49er squad. I expect the Rams to take full advantage of a defeated Jets squad. Analysis: The Redskins are coming off a bye as the team started hot and is cooling off a bit. RGIII has been named a team captain and they say he’s “hungrier than ever”. The Eagles will rely on rookie Nick Foles to lead them into Washington for a much needed victory. Andy Reid is going to need to rely on his running game to take the pressure off his rookie QB. Key Matchup: Eagle Wr Desean Jackson versus Redskins Cb DeAngelo Hall. Both tiny speedsters are known for being feisty players on the field, especially after the whistle. I expect these two to be battling all day. This will be an exciting matchup to watch! Analysis: This is a good ole’ fashion division rivalry game right here. These two teams will be in a seesaw battle as both teams will get things going on offense; Newton vs Freeman is going to bee fun to watch. In the end, I like my boy Josh Freeman (and all of his offensive weapons) to lead the Buccs to a victory. Fantasy Dud: All Carolina Panther running backs. Just avoid them! Analysis: This one could get ugly between the battle of 8s (1-8 v 8-1). You have to feel bad for the Jaguar team as they just can’t put it together. Hopefully the long week (and much needed rest) gives them ample time to pregame for the red-hot Texans, who just came away victors in a defensive battle against the Bears. Fantasy Stud: Arian Foster. Expect a monster day on the ground and in the air from the league’s top running back. Analysis: Someone call the Sheriff because we have a shoot out brewing!! Oh I think this is going to be a game right here. The Saints are starting to gain some steam but so are the Raiders (at least on offense). Expect a very high scoring game with long touchdown after long touchdown. I wouldn’t doubt if this game torches the over (54.5) and heads into the 60s. 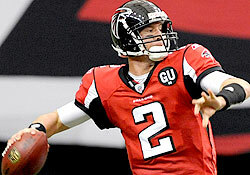 Fantasy Studs: Every quarterback and receiver on both teams! Both secondaries are weak and being exploited by passing offenses. Look at what Baltimore did to the Raiders last week. Analysis: There are a number of games I want to use as pick center this week but I believe this to be the strongest one. The Chargers, well, are the typical Chargers (very inconsistent) thus you never know which team is coming to play. These two teams were in a dogfight earlier in the season with a Rivers meltdown that led to the Bronco victory. I can’t see this division matchup being a two score game. Expect a tight game in this one with the Chargers definitely covering 8 points. Fantasy Stud: Danario Alexander. Who you ask? The Charger wide receiver is getting a few more looks his way with Malcom Floyd playing well this season. Expect close to 80 yards and a touchdown. Analysis: This game will be a nice matchup of quarterbacks showing off their finest skill sets. Brady has more weapons than the US Military while Luck is playing with subpar talent (besides Reggie Wayne of course). The Patriot offense will be too much for Indy to handle in this one. Expect some points on the board when this game is said and done. Key Player: Andrew Luck. Luck has the potential to put up some monster numbers in this game and lead his 6-3 Colts to an impressive road victory. We all know he doesn’t have much talent around him but he will have to make play after play or this is gonna be real ugly. Analysis: There is nothing like a division rivalry game between the Ravens and Steelers as both teams despise each other. Unfortunately the Steelers won’t have Big Ben due to multiple injuries. Bryon Leftwich is a solid backup but I don’t think this matchup really works to his favor. The Steelers will be getting the ground game going early and often in this one. I hate to say it but I do believe the Ravens will squeak this one out. Key Players: Rashard Mendenhall, Issac Redman & Jonathan Dwyer. Whoever is in the game at running back for the Steelers must get things going against a depleted Ravens defense. If the run game isn’t established, it will be a long day for this Steelers offense. Analysis: As of now, Jay Cutler is yet to be cleared to practice while Alex Smith participated in non-contact drills Wednesday. This defensive battle (every week is a defensive battle against the Bears) will be interesting if both starting quarterbacks are held out of the game. I am going to predict this matchup as if both quarterbacks are healthy and starting. If so, I expect the 49ers to take care of business against the Bears (Sorry Bears fans- I know, I know). Jay Cutler relies heavily on the passing game, which plays into the 49ers defense strategy. Key Players: Matt Forte & Frank Gore. These two running backs are going to have a tough time getting things going against stellar defenses. Whichever running back has a better game will result in his team getting the W.
If the status of one of these quarterbacks change, expect a nice large REVISED by the title. Finally, video of the week. I know some of you out there are struggling in your fantasy leagues. We understand your pain….so does this guy!